200 hrs with Gen-set !! 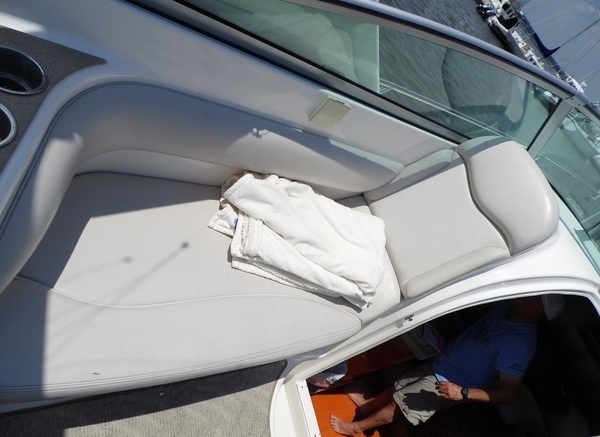 Lake boat from 2008-2014 The Larson Cabrio 274 features the exclusive Larson Duo-Delta Conic hull, a notched design that delivers outstanding on-plane performance, speed and fuel economy with an 5.7L Gi Volvo with the Duo Prop Drive. 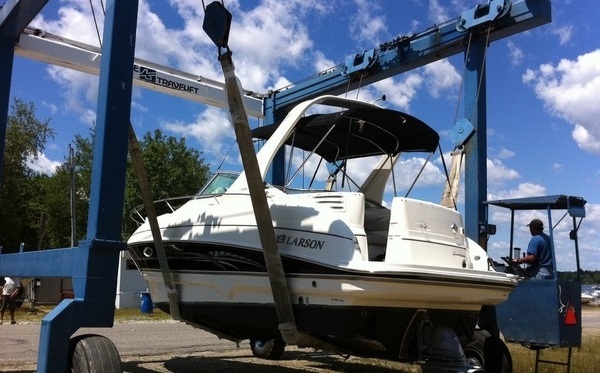 Move to the transom, where the well thought out design incorporates an integrated boarding platform. It's molded as part of the hull and deck, so the look is clean and smooth. 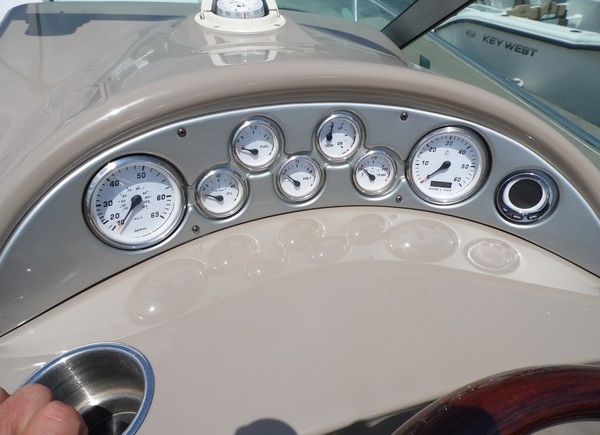 And because it extends from the boat's true transom, there's more room in the cockpit and better engine-bay access. The gunwale walk-around and flared rails make it easier to handle dock lines. The cockpit incorporates convertible wrap-around seating and lounges and an entertainment center with wet bar. 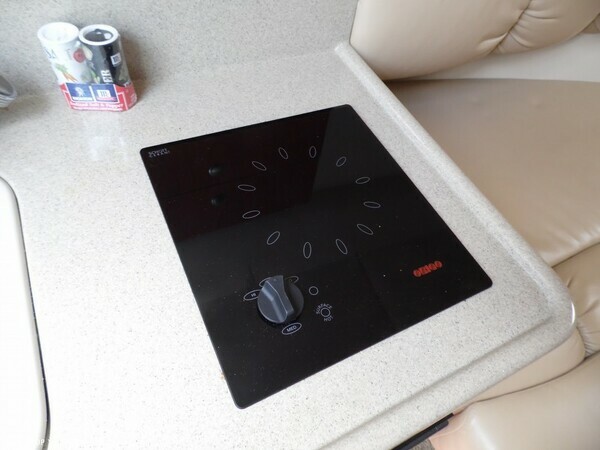 The cabin is bright and spacious, with wood-trimmed cabinets, granite-look counters, wood-grain flooring, a stretched vinyl headliner and a curved forward convertible dinette.The flat-screen television is mounted in the bulkhead and adds a nice touch to the cabin.The Galley includes a refrigerator, stove,microwave and acquitted storage. 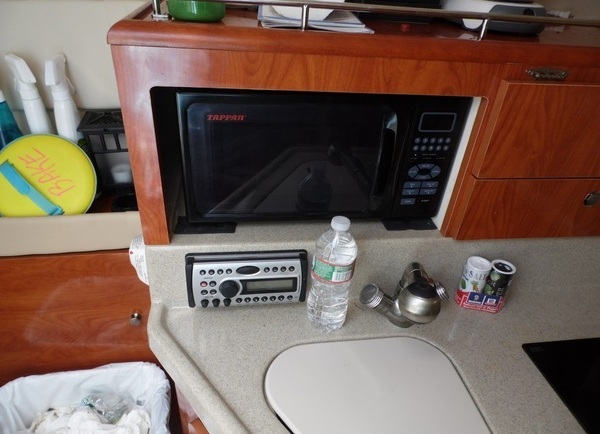 Shore power, pressure water, water heater and stereo with CD player are all part of the package. 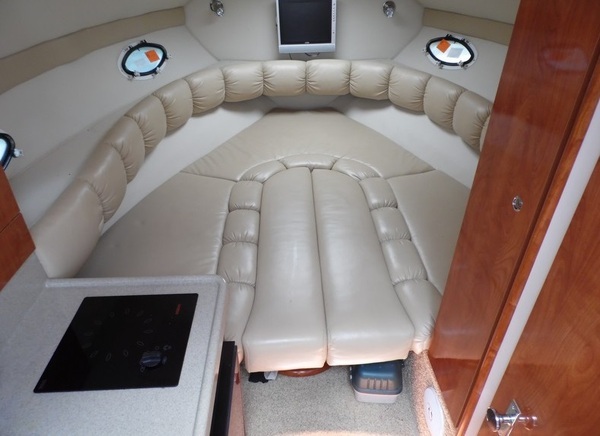 This boat is also equipped with a full camper top, cockpit cover, marine Air/Heat, Westerbeke Generator and Windlass Anchor . (It's Loaded).